It is not very often that something is so clearly adrift that I think it needs critical analysis. This, however, is one of those times. 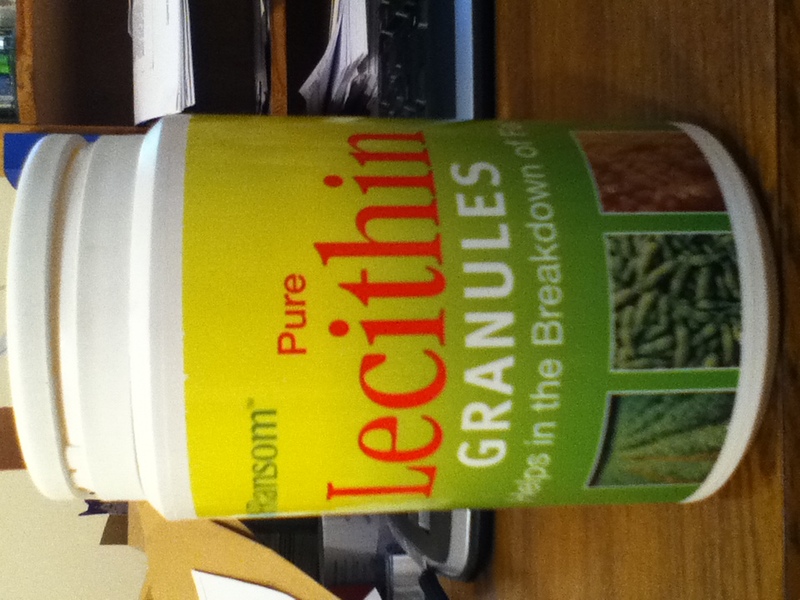 “Pure Lecithin Granules” produced by Ransom™ is a very innocent-looking product (Figure 1). So what is there that could be to discuss? I could be about to examine Ransom™’s legal position with respect to this product, or their marketing, or their science. The label is green and yellow, and it has pictures of clean-looking vegetable matter on it (see photograph Figure 1). So they probably have their marketing fairly well nailed. I am not trained in law at all, and so that aspect I leave alone at present. That leaves us with the science. The first thing that caught my eye was the phrase “Pure Lecithin”. In lipid chemistry (and membrane biophysics) the term ‘lecithin’ means phosphatidylcholine. This is bourne out by the products available from reputable suppliers such as this one and this one. ‘Lecithin’ is an informal word and so there is some flexibility over its meaning, but this only extends to the detail of the fatty acid residues (Figure 2). This is where the use of the word ‘pure’ by Ransom™ meets its first serious slippery patch. Lecithin is by definition a mix of phosphatidylcholine molecules, thus a concept of ‘pure’, seems at best imprecise. Further, the very detailed nutritional information on the packet shows that there are at least four molecules present that are not phosphatidylcholine (‘real’ lecithin). Three of these are the lipids phosphatidylinositol, phosphatidylethanolamine and phosphatidic acid. The fourth is listed as “carbohydrate”, and is presumably yet another mixture. Thus ‘purity’ with respect to this product is therefore debatable. The second phrase that leaps out with crashing force is “helps in the breakdown of fat”. That suggests to me, as a consumer, that this stuff will not only help your body deal with fat in a way that is harmless to you but also basically reduce the amount of fat you will gain from the food you eat. This phrase is therefore a good piece of marketing — it sounds good, but means almost nothing. What is true is that this collection of lipids (with a bit of carbohydrate), will help to dissolve fatty materials in water and form an emulsion of the fat and the water. The “Lecithin” is therefore an emulsifying agent. Figure 2. Phosphatidylcholine (Lecithin). The red section represents the hydrophilic (water-loving) section, where the blue represents the greasy-loving section. The latter is typically a mixture of types in lecithin. It is perhaps not surprising that it has a molecular structure that is chemically sympathetic to both water and fat. It is well known that water and fat do not mix. That lipids allow this to occur makes them the metrosexuals of chemistry in that sense. However, the fact that there are similarities between lipids and fats might ring alarm bells for you. And you would be right. As it happens, the molecules that make up fats, called fatty acids, form part of the molecular structure of lipid molecules. In fact they are the weightiest part (see Figure 2). This is why this “Pure Lecithin” is in fact 91% fat by mass. So much for helping with the breakdown of fat, and being good for a healthy diet. So after deconstructing their presentation of anything even vaguely scientific, or indeed apparently healthy, do I have anything good to say about this product? Well, sort of. Mixtures of lipids are occasionally useful to me as a research scientist, with known components such as this it can provide a vague sort of comparison for other, unknown, lipid systems. It provides a cheap source of such a mix of known lipids and so ideas about lipid experiments I have in the bath or at other inopportune times can be tested without spending much money. But would I use it in food? Certainly not. It smells of nasty paper glue in my opinion and gets awkwardly sticky if it goes near water, even if we ignore the above shortcomings. It may seem unkind, as they clearly go to some trouble to produce a food-grade product, however when something appears ill-presented on close inspection, could I really trust it? Fat chance.